Paul Compton is Associate Professor of Trombone at Oklahoma State University. 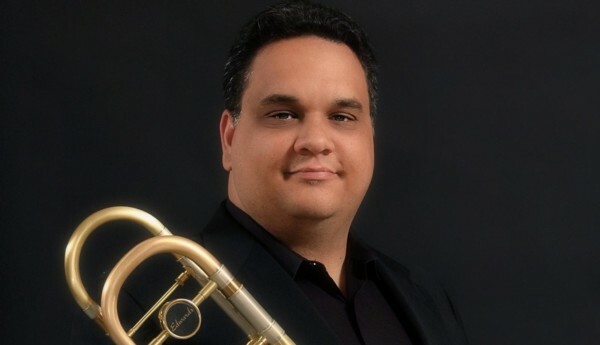 He studied trombone at the University of North Texas with Vern Kagarice and Tony Baker, at the University of Texas at Arlington with Andrew M. Russell, at the Henry Mancini Institute with Bruce Paulson and Andy Martin and at the Alessi Seminar with Joseph Alessi. Paul has also performed in master classes for Christian Lindberg, Denis Wick, Ben van Dijk, Ron Barron, Scott Hartman and John Fedchock. Prior to his appointment at OSU, Paul taught at North Central Texas College and the University of North Texas. He has enjoyed an extremely versatile career, with extensive experience as a solo, symphonic, jazz and chamber music performer. Paul is devoted to promoting the trombone as a solo instrument. 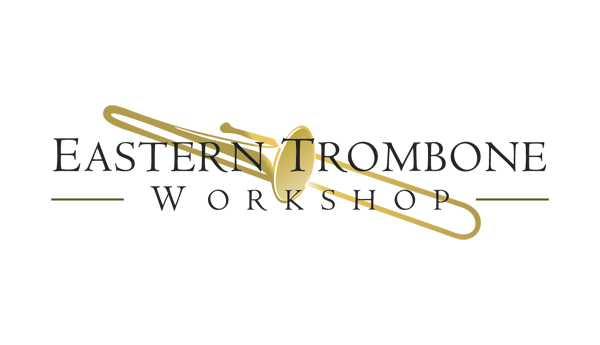 He has premiered more than twenty new compositions for trombone by composers James Kazik, Wil Swindler, Todd Malicoate, Joseph T. Spaniola, Stephen Smith, David Wilborn, Ian McDougall, James Beckel, David Herring, Michael Schneider, Dave Rivello, Sy Brandon, Michael Davis and David Shipps. In 2008, Paul gave a consortium premiere of David Maslanka’s moving Concerto for Trombone and Wind Ensemble with the OSU Wind Ensemble. Paul has also performed as soloist with the United States Army Band “Pershing’s Own”, University of New Mexico Wind Symphony, Camerata Chamber Winds, Oklahoma State University Wind Ensemble, Oklahoma State University Symphony Orchestra, Signature Symphony Orchestra, Myriad Brass Orchestra, Oklahoma State University Jazz Ensemble, Jacksonville State University Jazz Ensemble, University of North Texas Trombone Ensemble, Stillwater Community Band and the Wills Point High School Band. Paul was a semifinalist in the prestigious Concert Artists Guild Solo Competition, and he received an Outstanding Performance Award in the Down Beat Student Music Awards. He has given recital performances at the University of West Florida, Eastern Trombone Workshop, University of Missouri, University of Saskatchewan, Texas Tech University, Del Mar College, Central Methodist University and Oklahoma State University. Paul received a Commission Assistance Grant from the Co-op Press in 2004, which resulted in the premiere of Ballad and Dance Variations for Solo Trombone and Wind Ensemble by Sy Brandon. Paul subsequently won First Prize in the Co-op Press Recording Competition for his recording of Ballad and Dance Variations, and his recording can be heard on the album Trombonarama. Paul is a member of the North Arkansas Symphony Orchestra, and he has performed and recorded with several other orchestras, wind ensembles and choral ensembles. He has held regular positions in the University of North Texas Symphony Orchestra, Henry Mancini Institute Orchestra, Irving Symphony Orchestra, San Angelo Symphony Orchestra, University of North Texas Wind Ensemble, University of Texas at Arlington Wind Ensemble and the Myriad Brass Orchestra, and he has performed with the Flower Mound Chamber Orchestra, Plano Symphony Orchestra, Texas Wind Symphony, North Central Texas Chorale Orchestra, Women’s Chorus of Dallas Orchestra, Tulsa Opera Orchestra, Tulsa Oratorio Chorus Orchestra, Signature Symphony Orchestra, Tulsa Ballet Orchestra and the Tulsa Symphony Orchestra. Through these ensembles Paul has performed with artists such as Luciano Pavarotti, Diane Reeves, Herbie Hancock, Terrence Blanchard, Christian McBride, Sam Harris, Larry Gatlin, John Williams, Tony Bennett, Jerry Goldsmith, Elmer Bernstein, Bob Brookmeyer and Monica Mancini. He has also performed in such venues as the Hollywood Bowl, Carnegie Hall, Kodak Theater, Walt Disney Concert Hall, Morton H. Meyerson Symphony Center and Bass Hall. Paul was lead trombonist of the well-known University of North Texas One O’clock Lab Band, and he can be heard on four of the group’s albums. He also performed with the ensemble at the Molde International Jazz Festival (Norway), Pori International Jazz Festival (Finland), PASIC in Dallas, IAJE Conventions in New York and New Orleans, the New York Brass Conference, the Texas Jazz Festival in Corpus Christi, Texas Ballet Theater, Lone State Ballet and the North Texas Jazz Festival in Addison. He played for such artists as Greg Bissonette, Terry Gibbs, the Brecker Brothers, Jim McNeely, Bill Watrous, Byron Stripling, Tim Hagens, Kenny Wheeler and Joe Lovano. Paul played every Monday night for 5 years with the house Big Band at Sambuca Jazz Café Addison. He was lead trombonist of the University of Texas at Arlington Jazz Orchestra, and performed with the ensemble at the Montreux International Jazz Festival (Switzerland) and the Texas Music Educators Convention. He also performed with the Cary Richards Orchestra, Dreamaker Big Band, Eastside Jazz Orchestra, Tuxedo Junction, Collection Jazz Orchestra, Shelley Carroll Big Band, Dallas Jazz Orchestra, In Full Swing, Galen Jeter Orchestra and the Les Elgart Orchestra. Paul is lead trombonist of the jazz trombone ensemble Slide Tradition, winner of the International Trombone Association Kai Winding Jazz Trombone Ensemble Competition and the National Jazz Trombone Ensemble/Capitol Bones Competition. Slide Tradition was an artist ensemble at the 2002 International Trombone Festival in Denton, TX. Paul has performed regularly as a chamber musician. In 1997 he began performing with the Texas based Bluebonnet Brass, and has since performed several hundred concerts with the ensemble. This includes guest performances with the San Angelo, Temple and Georgetown Symphony Orchestras, as well as concerts across the United States and Japan. Paul has also performed with the Infinity Brass Quintet, Newcastle Brass Quintet, Classic Brass Quintet and the Bravo Brass Quintet. He was a member of the Camerata Chamber Winds of Coppell, TX for two seasons, performing some of the finest chamber music for winds. As a member of the Bravura Trombone Octet, Paul twice won the Down Beat Magazine Student Music Awards Competition for Classical Chamber Ensemble. Paul is a faculty member for the Western Summer Chamber Music Institute held at Western State College of Gunnison, Colorado. Paul is an artist for the Edwards Instrument Company of Elkhorn, Wisconsin and Griego Mouthpieces.